Elvis Presley "Stay Away Joe" production worn red wine colored denim jacket in his film "Stay Away Joe." 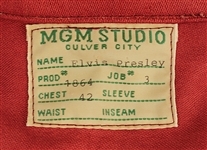 It is one of several denim jackets made for Elvis to wear in the film, and he wore this during production. 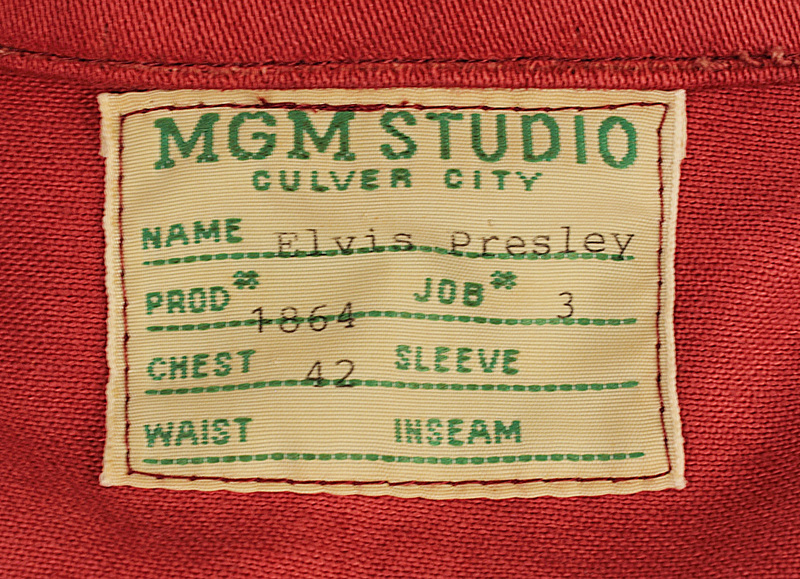 The jacket bears the original MGM label. 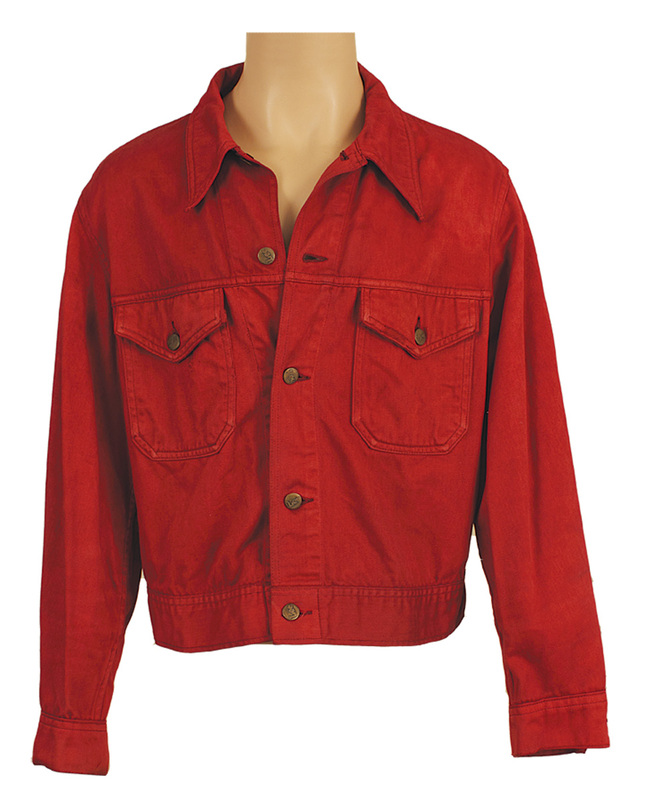 After the filming for the movie was finished, Elvis gave the jacket to Charlie Hodge, who was a close friend of his for many years. 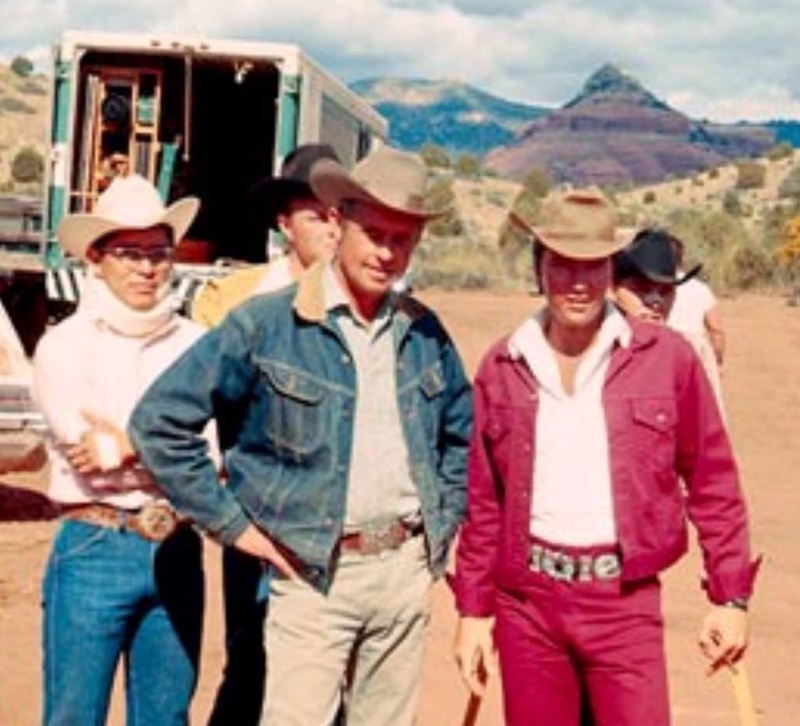 Elvis first met Charlie when he was with a group called the Foggy Mountain River Boys. The two met again when Elvis was in the U.S. Army and went to Germany. Elvis and Charlie became good friends and Charlie lived at Graceland in a converted apartment up until Elvis' death in 1977. 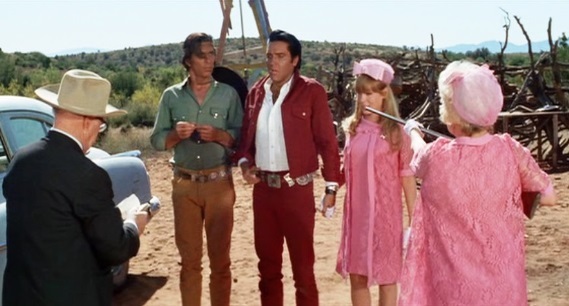 Charlie was also Elvis' stage director, sang harmony with him and handed him his scarves. 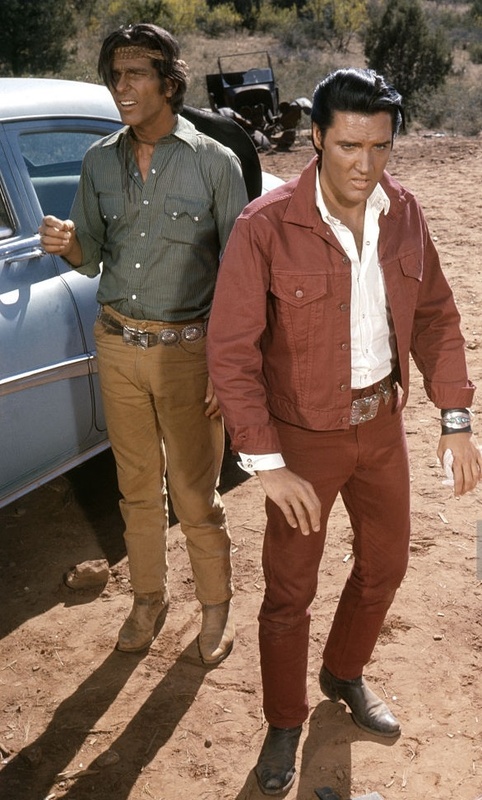 Charlie also helped Elvis with the set lists for his shows and appeared as an extra in many of his films. Charlie was an extra on "Stay Away Joe." Very good condition. 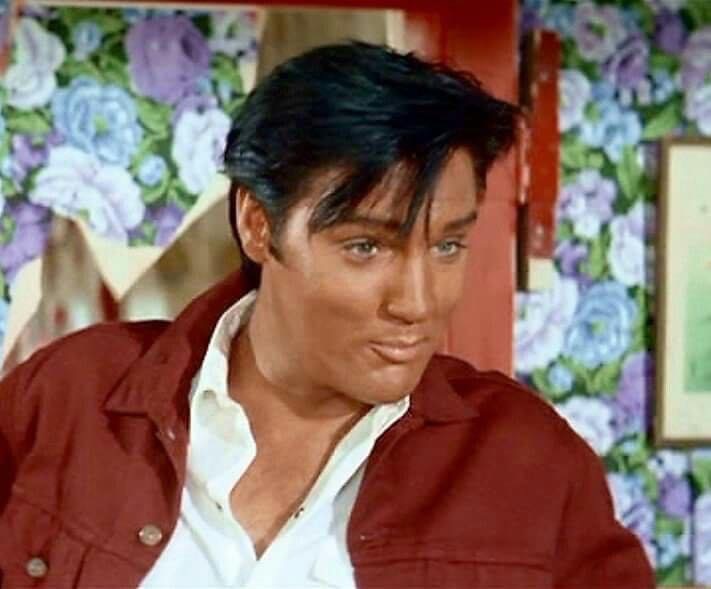 Comes with photos of Elvis from the film, a letter of provenance from Charlie Hodge, and a Gotta Have Rock & Roll™ Certificate of Authenticity.